Usually, the best way to save yourself some money, and a considerable amount of stress when booking and arranging a family holiday, is to plan well in advance. Unfortunately, for some of us, there simply isn’t an opportunity to plan ahead. For instance, you might find yourself with a last-minute spot of vacation time at work, maybe even this Christmas or a sudden increase in income that you want to make the most of. The good news is that if you’re in search of last-minute deals, there’s plenty on offer in Bournemouth, the stunning coastal gem in the southern side of England. Bournemouth is the perfect seaside town to visit, no matter the season. With tropical gardens to explore, stunning sea views, and countless opportunities for outdoor adventure. 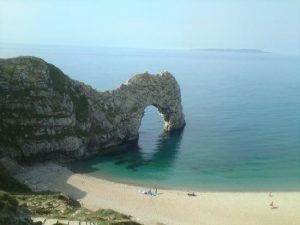 Whether you’re looking for a week’s vacation, a day trip, or an extended weekend away, last-minute holiday deals can help you make the most out of what Dorset has to offer. To find your last-minute holiday deals, try our website or come and see us at 6 Poole Hill, BH2 5PS! Visit an actual travel company: Today, a lot of people forget about visiting real travel agents when they’re looking for an amazing deal on a vacation. While you can get a lot from online sources, the truth is that travel agents still have the power to throw in extra deals and gifts to help provide you with a more incredible experience. After all, now, that they’re competing with the online world, brick-and-mortar agents need to do even more to stand out. Give us a call on 01202 296400 or search on our website for that perfect holiday destination on the south coast.